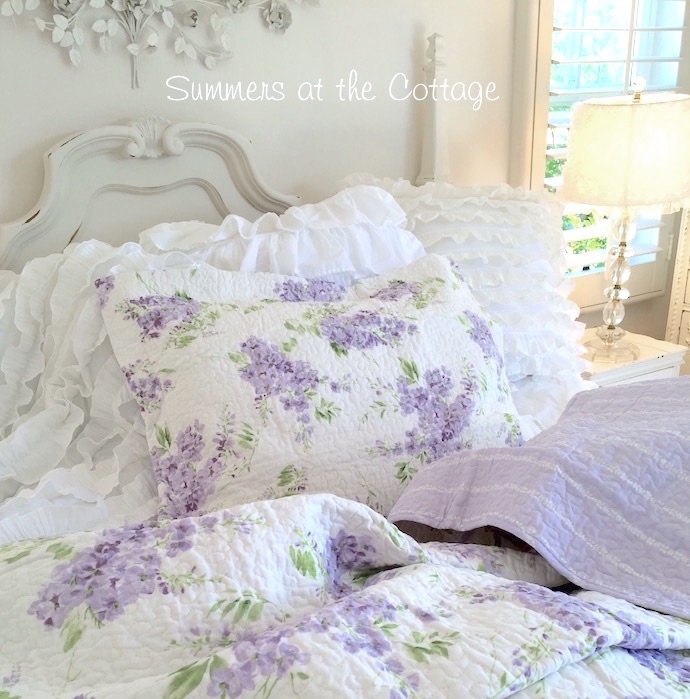 The perfect Vintage Cottage Lavender Lilacs on white quilt set! 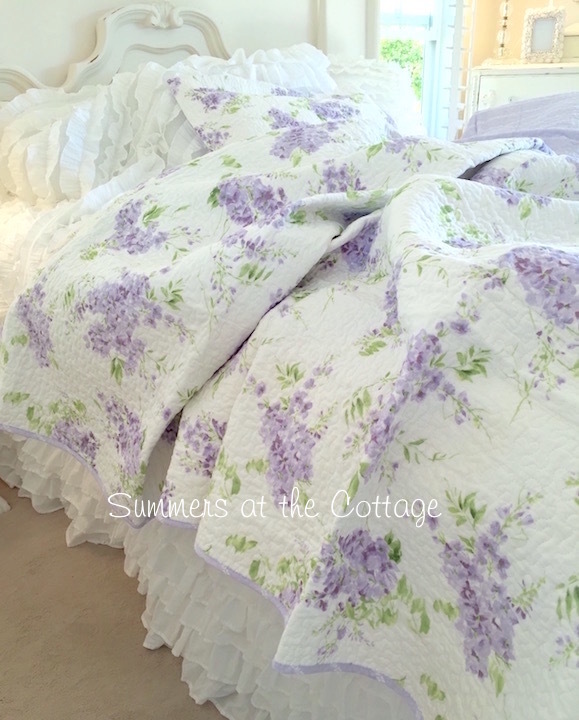 This stunningly beautiful quilt set with lavender lilac blossoms reverses to a beautiful lavender stripe motif on the back. 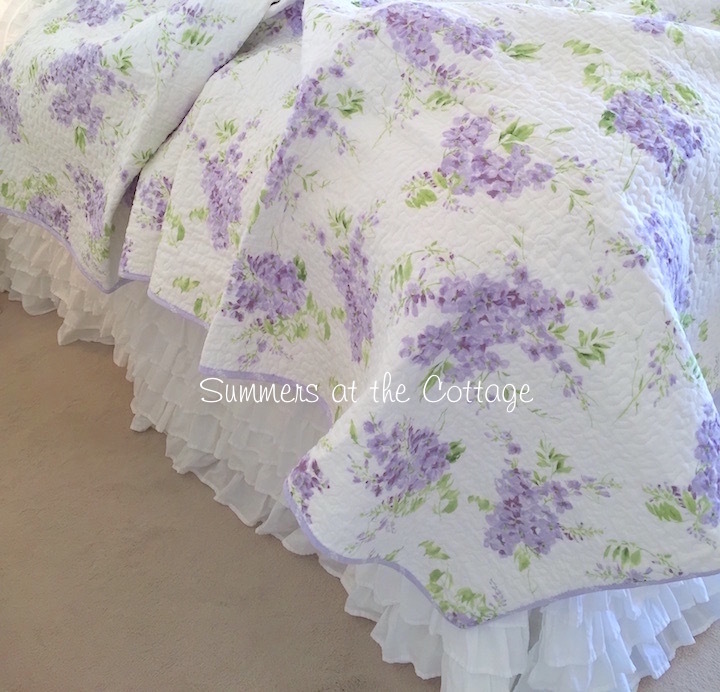 The design on the front is lovely with the lilac bouquets of flowers. So pretty! Brand new in package. 100% cotton fabric. Machine wash and dry. King Set - Quilt measures 104 x 96 inches with 2 matching King pillow shams 20 x 36 inches. King Set - Quilt measures 104 x 96 inches with 2 matching Standard pillow shams 20 x 26 inches. 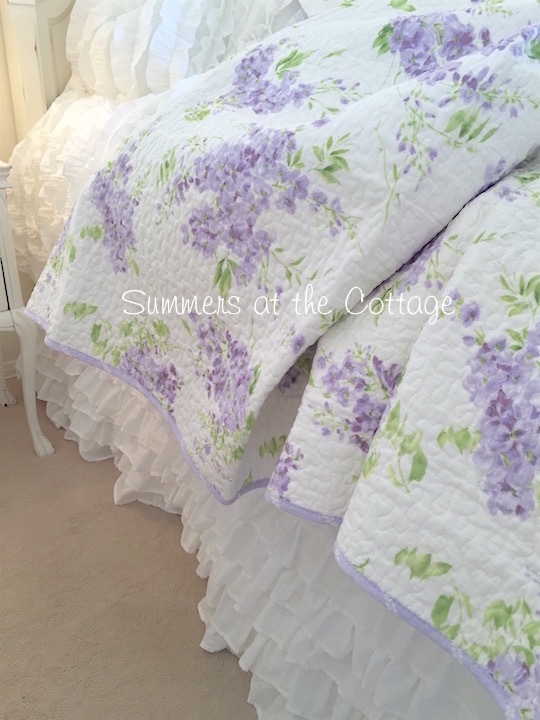 Queen Set - Quilt measures 90 x 90 inches with 2 matching standard pillow shams 20 x 26 inches. Twin Quilt - Quilt measures 68 x 88 inches with 1 matching standard pillow sham 20 x 26 inches.